Discover the mysterious "Campfire Effect" that draws men like a moth to a flame. Hi, my name is Bob Grant and you’re about to see how a 41 year old single mom named Anna with 3 small children went from divorced, single, alone and hopeless to... having men constantly pursuing her everywhere (including the elevator!). The one man who promised to "love her forever" and finally convinced her to be his. Why being positive and upbeat all the time actually makes him ignore your needs. So many women open their hearts to a man because he tells them he loves them and promises his devotion. And yet these same women often miss this key warning sign. In fact, they actually tell women exactly the OPPOSITE of what they need. So I’m going to tell you exactly what a man wants, even though most men don’t even realize this themselves. 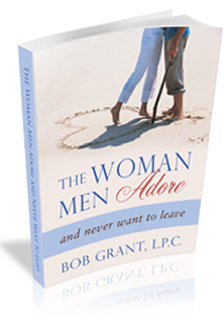 Most men tell women that they want them to more laid back and easy going and not to complain. Yet that’s just what Anna did before she started working with me and the man she loved still left her, even though she gave him exactly what he told her he wanted. Based on her experience, and hundreds of other clients in my private practice I decided to take all of my clinical training as a licensed Professional and began doing research to find the hidden emotional key that made a man want to connect with a woman on a deep emotional level and stay committed to her. Even if she wasn’t the prettiest, thinnest or anything that Cosmo magazine said she should be. I’ve been doing this for 20 years now and I’ve cracked the Bonding Code for thousands of women. Even if You don’t have the body of a Victoria Secret lingerie model. Even if You’re 21 or 55. Even if you’re Tall, short blonde brunette or whatever trait you feel holds you back from experiencing the love and attention from a man that you’ve always wanted. So I need you to pay close attention to this ENTIRE message right now. Because if you miss just one second of what I’m about to share with you... just ONE PART... this Bonding Code might not work. This is the EXACT same formula that I shared with Anna on our first visit. (Yes, the same Anna I mentioned at the beginning who was 41, divorced and had two kids and no self-confidence to date). 10 years earlier, she sat at a fancy restaurant with beautiful music playing when Tyler got up out of his chair, bent down on one knee and ask her to be his forever. Stunned and speechless, she started to cry with tears of joy as she said yes to his proposal. When they were married she knew she’d picked the right man for her and wanted to make sure she was the wife he had always wanted. So she did what she thought a man would like. She almost always agreed to his sexual advances while being both positive and upbeat, most of the time.In fact Tyler often bragged to other couples that she was one of the most giving women he had ever known. She was making her morning coffee when Tyler came into the kitchen and sat down at the table…and waited. At first, she thought nothing of this until she turned around and saw him staring off into space. “Anything wrong?” she innocently asked. The words cut her like a knife as a sense of both fear and numbness engulfed her. Desperately she wanted to talk with him yet he said he had to leave and that they would discuss it later, but later never came that day. Was he having an affair? If she could just understand, then she could fix it. But the understanding she wanted never came as she went from begging him to stay to accepting the cold reality that he would never return. After 3 months she felt that she was going to drown in grief if she didn’t talk with someone so a friend referred her to me. After a few minutes sitting across from me she paused, looked me in the eye and ask, “Bob, who’s going to want a 41 year old divorced woman with 3 small children?” After losing the man who had promised to love her forever, I understood her doubts and fears. 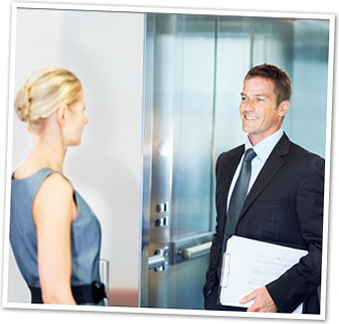 One afternoon she went to see her attorney and entered the elevator to his 14th floor office. When she got in she pushed the button for her floor and noticed a man who was busy talking to someone on his cellphone. She tried to dismiss her experience as something random, until 2 weeks later at a friend’s dinner party. She had reluctantly agreed to go and didn’t feel especially social, yet that evening 2 men were captivated by her every word. The attention was almost overwhelming for her as each ask her when they would see her again. No longer was she broken and despondent, and in the coming weeks she had men calling her constantly and begging her to spend time with her. The doubts that haunted her just a few months ago now seemed almost silly. So what happened that made this 41 year old single mother of 3 go from being abandoned to suddenly sought after by over a dozen men? This is the unconscious and destructive urge within a man that is only happy when you’re doing something to please him. It is as dangerous as a Vampire that drains the very life out of a helpless young woman. And here’s the big trap. He will EVEN say this is what he wants. But don’t listen and don’t give in! You must never fall into this pit. You know, where you give into what he wants because you think it will make him happy. That it will keep him devoted to you. That it will make him love you. But here’s what’s tragic about this, as logical as that sounds, giving too much to a man doesn’t make him love you, it will make him despise you. Even though that’s often exactly what a man tells you he wants! This is why I’m going to share with you something that is counter intuitive to everything even men tell you they want in a woman. Because if you let him keep pulling you down that path to the “Giving Pit” you’re actually increasing the chance that he might leave you. But that doesn’t work because it actually trains him to think you’re willing to do whatever he wants. And what makes this so bad is that he’ll just assume all you care about is his needs, his happiness with nothing left for you. Kind of like you’re his mother... doting on him... caring only about his needs... with your sole purpose focused on making sure he’s happy. You’ve Been Told to Never Get Angry with a Man Because it’s Such a Turn Off…. And the Worst Thing You’ve Been Told: The More You Give to a Man the Deeper He’ll Love You. Only calling you when he’s in the mood. Having his desire for you go hot and cold, for no apparent reason. Expecting you to be positive and upbeat…all the time. Was she beautiful? Well, yes….but certainly not striking. She didn’t especially dress “girly” and wasn’t overly flirtatious. In fact she didn’t even know how she did it and certainly didn’t “try” and attract men. That effortless quality to glow and charm a man without even trying. Without have to resort to weird games or skin tight clothes. Without having to give into a man’s demands just to please him. Without having to worry about saying the wrong thing. What she described is almost identical to a few rare and mysterious women throughout history that have used this campfire effect to produce an almost dream like trance over men. 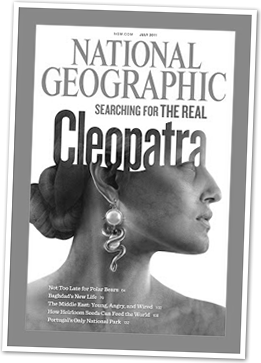 Cleopatra is considered to be almost mythical in her beauty but when I researched her I found something quite different. Her looks are never described as stunning or breath taking like Helen of Troy, but what she possessed was an ability to charm men. She had a quality that was so powerful, that men were willing to go to war for her, if that’s what she desired. Perhaps you know her better as the wife of the famous actor, Robert Downey Jr. who was thought to be untamable until he met her. His drug usage and womanizing is legendary….even by Hollywood standards. Yet, after turbulent affairs with actresses Marisa Tomei, Jennifer Jason Leigh and Sarah Jessica Parker (and countless others) everything came crashing down one fateful day. Out of his mind on Cocaine, he had wandered in to his neighbor’s home and fell asleep in her 11-year-old son’s empty bed, but not before he had undressed to his underpants. Shortly after this, as fate would have it, he would meet the woman that would change his life forever. To This Day He Admits That All of His Success Would Mean Nothing Without Her by His Side. “I have had more attention in the last 3 months than in my entire life. The funniest part of it all is that I’m a 43 year old single mother with 4 great kids, and I have yet to date a man over 33 since learning The Campfire Effect! I don’t know how long this info will be online. I’m giving away so much free relationship information that I may end up making this a paid presentation, so I’m not sure how much longer I can leave it up. So read it all now while it’s still online and it’s still free. Think about a campfire on a cool winter day. You can feel the warmth of the heat as your eyes are fixated on the dancing flames. It’s so comfortable that you could stay there, just looking into the fire for hours. The secret to creating desire isn’t to make a man feel good, it’s to create tension. To make him so uncomfortable that he’ll only feel better when he’s with you. Remember a man needs to feel that he caught you to be able to bond with you. Never argue with a man, but not for the reason you think. The problem with arguing is that it’s not POWERFUL enough. When you’re upset with him you want him to not only understand you, but FEEL why you’re upset and I can show you how. Always give back less to a man that you receive. For men the prize isn’t how much you give, it’s being able to make you happy. When you try and give as much as he does then you’re innocently acting like a man.If you’re not good at receiving, then you’ll actually teach a man to stop giving to you. Now I love helping people, but unfortunately I only have time to work with so many women in my private practice... But I want to help even MORE so I’ve taken all of the best insights that my clients have told me works again and again and put it together in one amazing program. It’s called “The Woman Men Adore"
In fact, what makes this program both powerful and life-changing is that I’ll show you how to release those qualities within yourself that men simply can’t resist. Whether you’re single or married, you’ll soon notice how men begin to look at you longingly and listen to your every word. All without having to play those silly relationship games that make you feel like you’re in high school. Instead, You Just Need to Follow My Proven Process in These 5 Easy Modules. In Module 1 I’ll show you why all your efforts to be attractive, desirable and appealing won’t mean anything unless a man can feel this 1 emotional response from you. What I’ve discovered is that often women accidentally hide this quality and give men the impression that they are cold and detached. Why 99% of women don’t even realize the dangerous signals they send off to men that make them appear desperate. Hint: Most women don’t realize how easy it is to give a man the wrong impression. 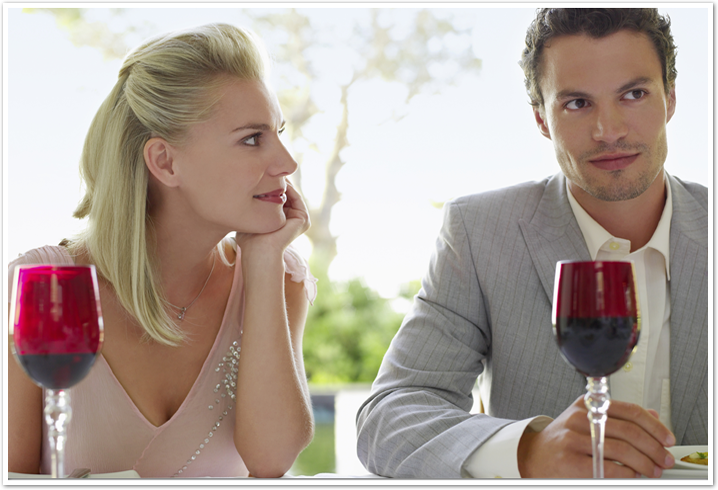 The critical mistake most women make when a man compliments them. It’s such a turn off that it can make a man can go from being attracted to repulsed in just 1 second. 5 things men crave that women don’t know about that create an unconscious connection with a man. It’s so exhilarating he’ll find himself going out of his way just to be around you. The Kiss of Death in a relationship – Once this enters his heart, he is almost certain to leave you…unless you know this proven cure! Want to get him to open up? Just use these 3 words and watch him pour out his heart to you…and only you. How to make a man instantly drop what he’s doing and listen to you whenever you’re upset. The secret is how to tap into the one emotion that makes him feel like he can’t rest until you’re happy. How to respond when you’re upset with a man so he’ll listen to you. Why yelling, crying and threatening doesn’t work, but do exactly as I show you and he’ll not only listen to you but actually feel your pain as well. How to use an unconscious trigger that disarms a man and makes him want to come closer to you. One client used this and forgot to turn it off when suddenly until a man in an elevator suddenly “hit” on her….when she wasn’t even paying attention to him. 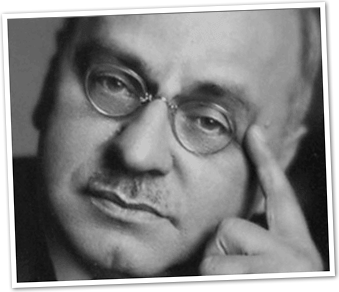 The 3 sentence technique that renders a man powerless to resist your request. It works like a charm. All you have to do is say 3 sentences to him -- I give the exact word-for-word “script”. Tired of picking the wrong guys? You can know if he’s worth giving your heart to, but only if you pay attention to this 1 personality clue. It’s the most proven predictor of how he’ll treat you in the future. Why being a little selfish actually makes you more adorable and no, you won’t become a witch…but ONLY if you do it exactly how I show you on page 101. The “ON” button game that will drive him wild with desire. What’s more…You’ll have him wrapped around you’re little finger when he begs you to play it over and over again. Want to make a man feel protective of you and attentive to your needs? You can…but only if you meet his deepest, almost primitive raw emotional need. He’ll feel so addicted to you that he’ll never even think of looking at another woman. Don’t talk to him like he was one of your girlfriends. Do this instead…use my “reflective listening” technique and watch his head turn toward you and hang on your every word. The part of your body that will make him fantasize about you, yet so many women hide it from men. No, it’s not your breasts, legs or derrière. Use this part of your body to the hilt and he’ll be dripping with desire for you. How to instantly disarm a man with this simple change in how you speak to him. Warning – You must use this carefully! Why HELPING your man is the worst thing you can do when he’s upset. What he’s really hoping is that you’ll know how to say this magical phrase that melts his heart and makes him realize you are the only woman for him. How to make a man not only hear what you say, but feel it as well. It’s so potent every married woman will do anything to prevent their man from having you accidentally use it on him. The one thing you can wear that will make him notice you instantly and no, it’s not 6 inch heels or black lingerie. You probably have one of these in your closet and never realized it’s power to make the man you’ve always wanted notice you in a crowded room. What most women do accidentally that makes a man feel like you’re his mother – and how to never let that happen to you. With specific real life examples and practical tips and suggestions, you won’t have to guess about what to do, because I’ve done all the work for you. Paige used the “On” button technique and suddenly her husband began asking her how he could help out around the house. Cynthia realized that she had been using the #1 relationship killer on all of her boyfriends and by making 1 simple change married the next man she dated. I’ve heard these stories from my clients for years as they’ve gone through The Woman Men Adore Program and many have paid over $1000 to have me personally teach them what I’m offering you. The reason they continue to come see me as a client AND tell their girlfriends to come see me is simply…what I teach works like nothing else. So when I created this program I wanted to make it affordable for as many women as I could and we decided to offer a deep discount of 80% for the low price of $197. In fact for the level of training that you’ll receive this is just a fraction of the true value for The Woman Men Adore but even with that, I want every woman to have a man’s undying devotion so I’m going to make this even easier for you. Because I’ve seen the results for myself in person, from women who’ve suddenly experienced the love and attention from men that they’ve always hoped for, I want to make sure you have the same chance to experience this for yourself. Yes, I realize that I’m offering this at a fraction of what my private clients typically pay and that it’s only 80 cents a day to just try The Woman Men Adore. And it can all be yours now simply by clicking on the Order Now Button Below. So Why Would I Make Such a Generous Offer? Because every week I meet with women who had their heart broken by the man they loved or with others who can’t find a man who wants to commit to them. I have to look in their eyes and watch the pain as they describe what it’s like to have a man leave them…and they don’t know why. When I was seeing 45 clients a week I realized that I simply couldn’t meet with everyone that wanted my help, even though the need was so great. I’ve seen too many women blindsided when the man they gave their heart too unexpectedly told them that he no longer loved them….and they never saw it coming. I don’t ever want that to happen to you. Just try The Woman Men Adore for 60 days and see for yourself if you don’t start having men looking at you more intently and listening to your every word. If it’s not worth at least 10 times more than you what you paid for or if you’re not 100% satisfied within 60 days, I’ll refund your entire purchase price. Now because I understand I have both single and married women reading this, I want to assure you that yes, this program works for both types of women. I’ve also created these unique bonuses that are focused on your specific situation. If you’re single, this guide shows you how The Woman Men Adore can be applied in different situations with single men. How a man approaches a relationship differently than a woman and why that’s often fatal to your relationship if you don’t understand this. This guide will give you the blueprint to not only start attracting the kind of man you’re interested in, but who’ll stay devoted to you for the long haul... and I’ll also show you how to get past the games single men play. So many wives (and girlfriends) have confided to me how attentive the man they love was early in their relationship. His passion for them seemed endless but once he “got them” it just seemed to fade away. What’s sad is that these women don’t realize how desperately their man longs for that same passion as well. In fact, once his desire for you is awakened, you might find it hard to turn your man off! I’ll even include a bonus option of a free 30 trial to The Women Men Adore Club where I will work with you and a select group of other smart and successful women and so you can ask me questions about your most pressing relationship needs. With video instruction and access to the Members Only Forums, I’ll be right with you, side by side as you apply with these life changing principles. 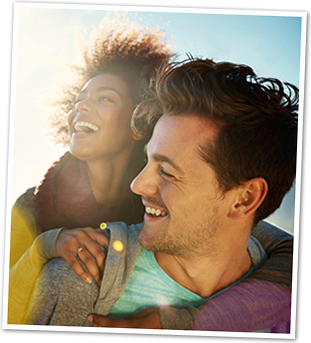 These bonuses alone are worth over $100, but I’m giving them to you FREE just for trying The Woman Men Adore Program today. You can ignore this video and stay right where you are now. Always wondering if you missed your chance to be loved and cherished by that one special man you were meant to be with. It's the kind of love and devotion that you deserve and you could miss it by simply doing nothing. you could make the one decision that could change your life. Where you let me take all the risk and try The Woman Men Adore and discover what really makes a man bond with you on a deep emotional level. If you don’t make a decision to change right Now, it’s very unlikely you ever will. That’s why I'm stretching out my hand with the key to unlocking a man's heart - but you have to take this gift I'm offering you. All you need to do to make that happen is hit the order now button below this video. 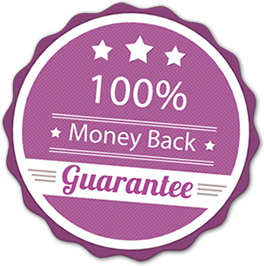 You'll have a chance to review your order before being taken to my 100% secure order page. Simply fill out your details there, and you'll be sent directly to your product page. It takes just a minute or two to set up your account, so you'll have access in no time at all. Go ahead and click the order now button, and I'll see you on the other side. Copyright © Relationship Headquarters. All rights reserved.